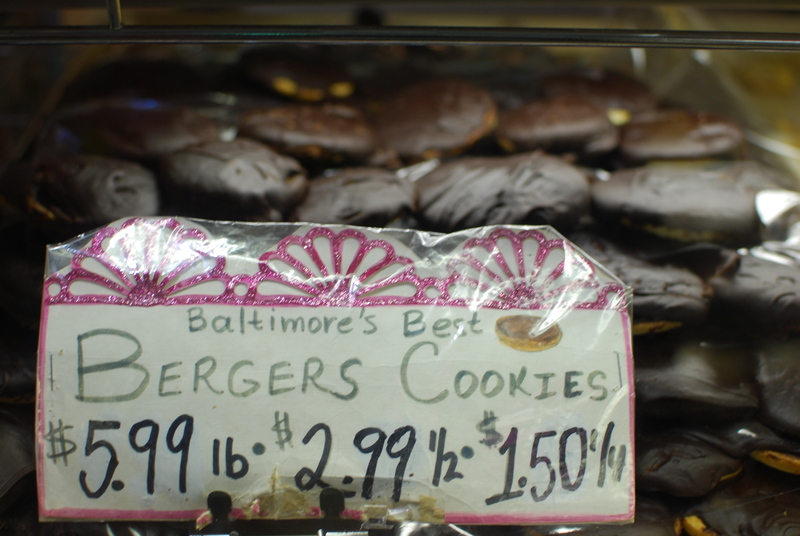 Berger Cookies are a Baltimore institution. A few months back when the DeBaufre family bakery suspended operations due to license issues, the sudden vacuum then resurgence of the chocolate fudge topped cookies created quite the local stir. There are many imitations but nothing like the real thing. Taharka Brothers Ice Cream makes a Berger Cookies flavor, and Canton’s Dangerously Delicious Pies makes a Berger Cookie “Baltimore Bomb” Pie. 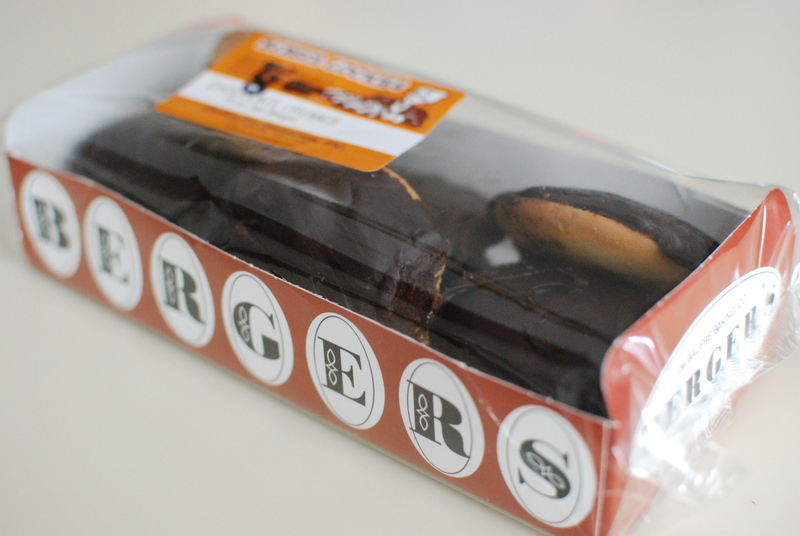 When we first moved to LA, I once brought back packs of Berger Cookies to share with my coworkers for a potluck and watched in utter horror as one of them began scraping off the chocolate fudge directly into a trash can, since it was just too rich for her. 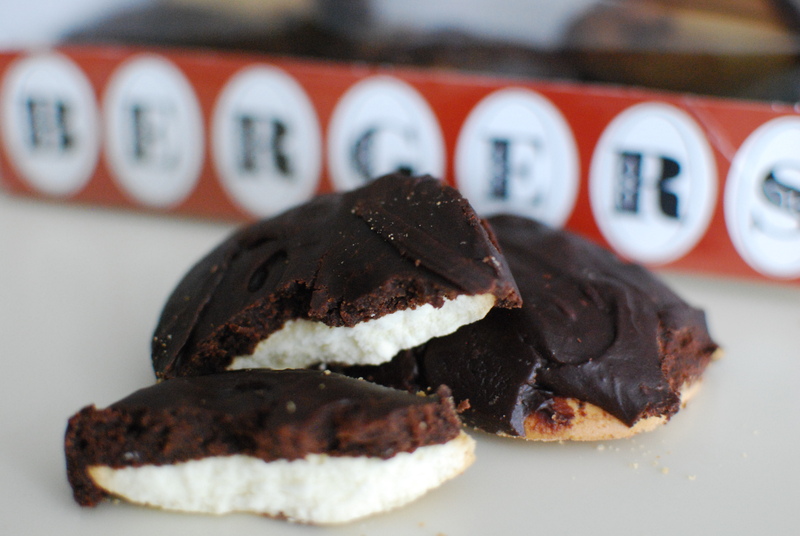 Once described as “a cookie that admittedly looks as if its fudge creme topping was slapped on by 5-year-olds hopped up on Mountain Dew” and often compared to New York’s Black & Whites, Berger Cookies are our own Baltimore treasure. 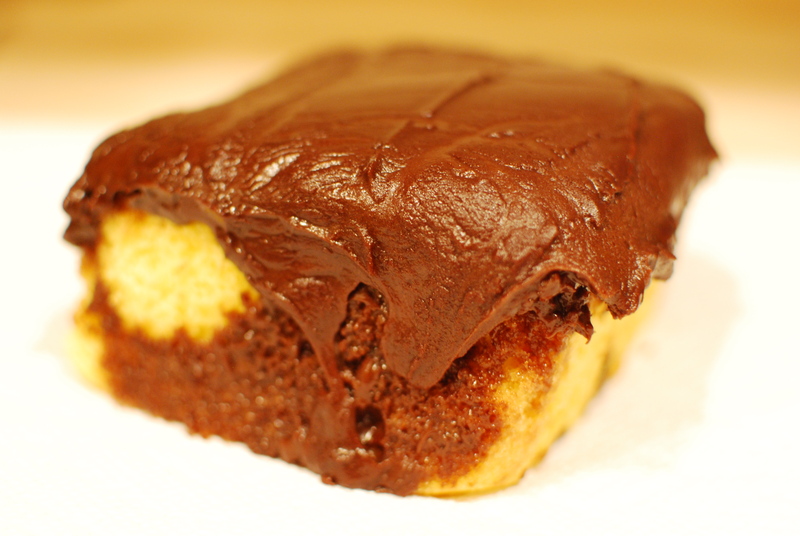 You can find the chocolatey treats at pretty much any local grocery or convenience store, packaged in their characteristic box and cellophane. 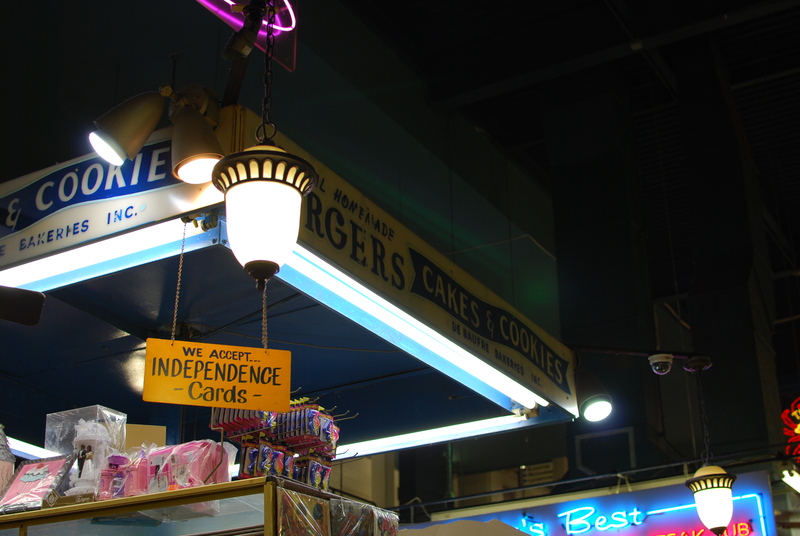 They also have a stall in Lexington Market that sells among other delights, the freshly dipped flagship cookies in addition to Chocolate Tops (what they call Chocolate Drop Cookies) and pound cake topped with the same chocolate fudge icing. 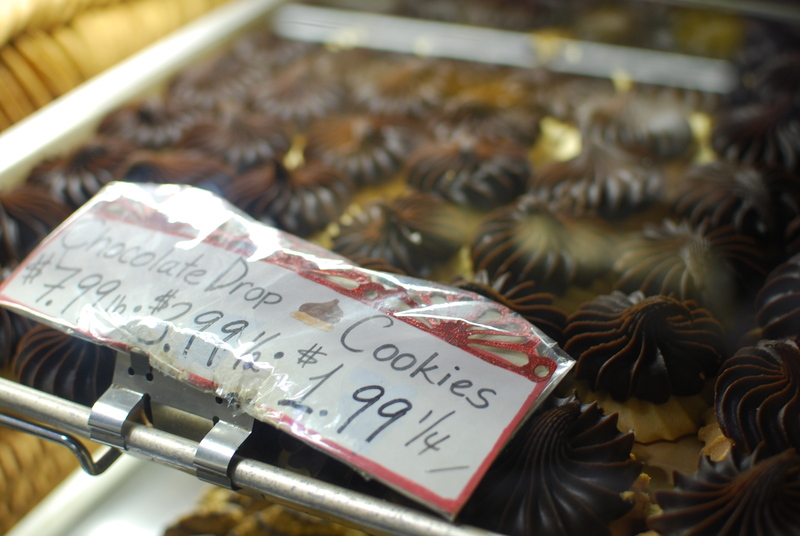 When freshly made, the Chocolate Tops here are the best I’ve ever had, and the cake is simply out of this world.